For us marketers, it can be pretty challenging for coming up with some fresh social media content ideas. It’s pointless sharing content for the sake of it. Doing so might even annoy your followers and they could end up unfollowing you. To give you a helping hand, we’ve created this list of 32 social media content ideas. 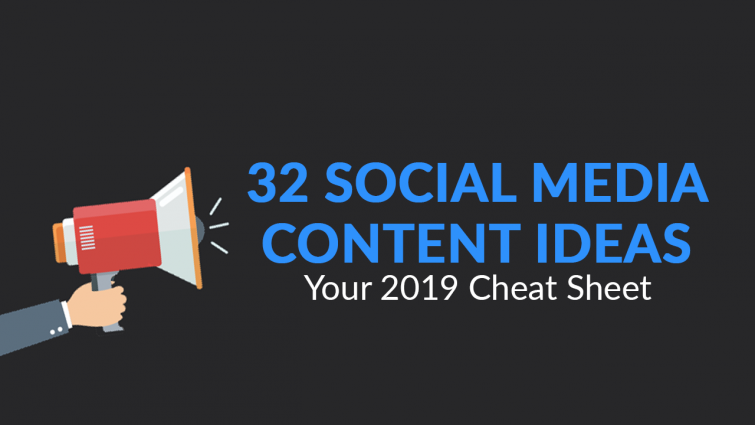 There we go, 32 social media content ideas that are likely to increase engagement, publicity and possibly even generate more sales. If you’ve been sharing the same content over and over, it’s time to give your profiles a change with the above content ideas for social media. Consider using the above social media content ideas and be creative, you’ll soon see your engagement and growth increase. How We Cut Our Lead Cost From Around $5-$6 Down To $1.98!